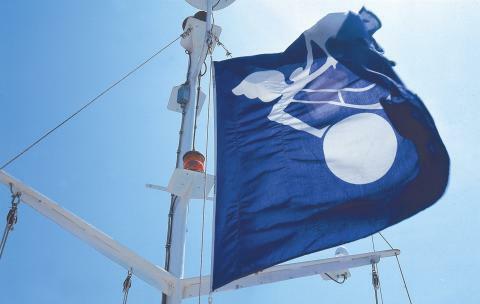 Panalpina’s board of directors has nominated Peter Ulber (56) as the company’s new chairman for the upcoming Annual General Meeting (AGM) to be held on May 10, 2016. He would succeed Dr Rudolf W. Hug (72) who has served as chairman since 2007 and does not stand for reelection due to the age limitation in the company’s bylaws. 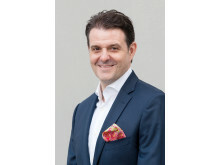 Stefan Karlen (42), currently regional CEO for Asia Pacific, has been designated to succeed Ulber as the next chief executive officer. 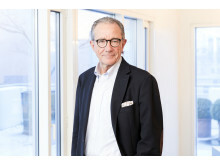 Commenting on the board’s appointment, Vice Chairman Beat Walti says on behalf of controlling shareholder Ernst Göhner Foundation “During his tenure, Dr Hug was instrumental in setting the strategy for Panalpina and turning it into the highly professional and bottom-line focused company it is today. Peter Ulber’s nomination will ensure continuity and a seamless transition; and we are convinced that he will be a most capable chairman.” Additionally, Ulber will be nominated to succeed Dr Hug as a member of the board of trustees of Ernst Göhner Foundation. After the AGM, Ulber would continue as CEO until Karlen, his designated successor, takes over during the latter part of the year. 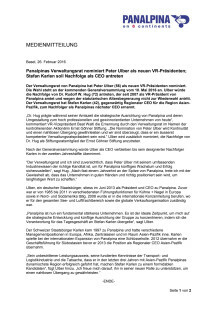 Ulber, a German citizen, joined Panalpina in June 2013 as President and CEO. Previously he held various management positions from 1985 to 2011 at Kuehne + Nagel in Europe, as well as North and South America. 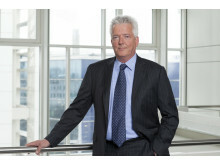 He was appointed to the international management board in 2008, and was responsible for both sea freight and air freight, as well as the global sales organization. “Panalpina is now a fundamentally stronger company, making this the ideal time for me to concentrate on the strategic development and future direction of the group by handing over the day-to-day responsibilities to Stefan Karlen,” says Ulber. A Swiss citizen, Karlen joined Panalpina in 1997 and has held various positions spanning across Europe, Africa, Central Asia and Asia Pacific. 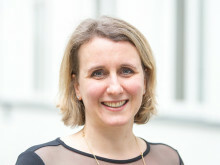 Karlen has played a key role in Panalpina’s international expansion. In 2012, he became the managing director for South East Asia before assuming the position of Regional CEO for Asia Pacific in 2013. 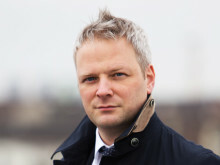 “Stefan Karlen’s proven track record of delivering results and in-depth knowledge of the freight forwarding and logistics industry, coupled with him having successfully lead Asia Pacific, Panalpina’s most dynamic region, for the last three years makes him a formidable candidate,” adds Ulber.